As Reyna's hands grazed the waters of Konpeito bay, she replayed what she knew about herself before her memories come to an end. Who WAS she? Where was she? Why was she here? 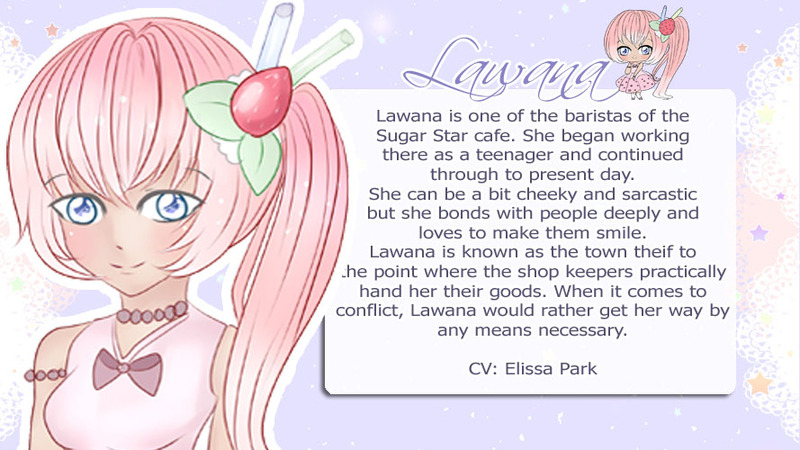 Now thanks to her new friends, Lawana and Mallow, Reyna can finally start life anew helping out at their Sugar Star Cafe. But is the world she's stumbled upon as wonderful as it seems? Please keep in mind that you're bound to encounter a glitch or some dry points but I promise I'll fix those up right away! 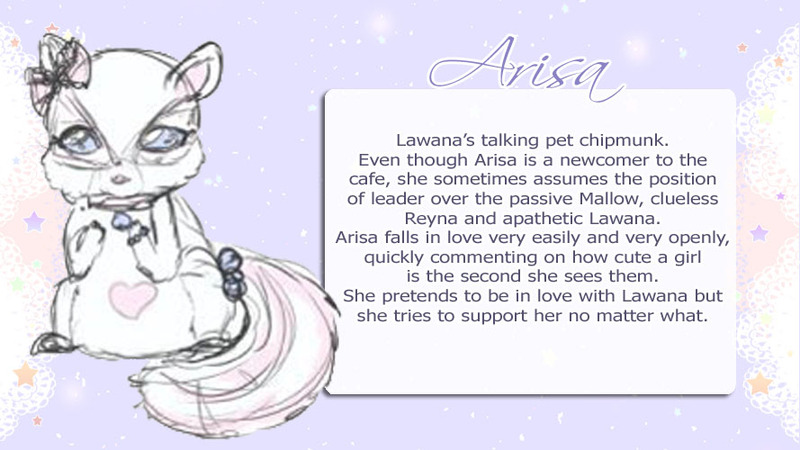 - Click Lawana to get started! - Be warned of glitches-- save often. Oh my goodness, that would be absolutely incredible! I love the Spanish language and would love to work with you on a translation. Of course! Several users have encountered a cooking crash and it will be fixed shortly. I can't do it right away but I have the fix ready to render when I can. Played only the beggining of it until it crashed when I tried to make the cake. Sorry for the late reply! There's a glitch in the game that remains unfixed since I don't have the game file anymore (The project is on an indefinite hiatus). If you're referring to the tutorial section, make sure you're clicking the highlighted boxes before clicking "bake"! 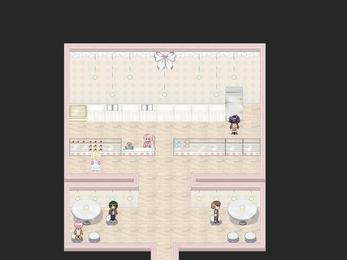 It was fixed in later builds of the game but I never officially released it ;; I'm so sorry about that! So I was really excited to play this game and opened it up for the first time. The controls were confusing at first but I eventually figured it out. After having it crash on me so many times I opened up the game again. However, none of the keys were working on the game-play. I have tried the esc. key and all the other keys that I had figured out with the game, but the graphics won't budge. I'm so sorry to hear that my love! I made this game in three days and didn't end up editing it any further since I lost the data for it. May I ask what you mean about the graphics not budging? Is it just freezing on you? Yes. The game will freeze when I'm trying to preform a certain action. I haven't gotten too far in the game, but I was at the point were you are first learning to make a cake not long after your character wakes up. Alrighty so that's never happened before? The cooking system has given some problems (I have build that should fix it but its on another hard drive and I'm searching for it). Were you putting in ingredients before clicking cook? In this build of the game, there's a missing error catch that means if you click "Cook" before adding ingredients it would crash the game. The menu lacked clarity so many people didn't realize that the highlighted boxes were for ingredients, so when I find the file I'll release it and it should fix the issue. I've edited it for clarity and added the catch but I still have to upload. That COULD be why since that's a common problem in the game. That's my best guess but if not then I'll have to look into it further. It was my first time coding a system for anything and three days to do so wasn't enough so I sincerely apologize for the problems you encountered! 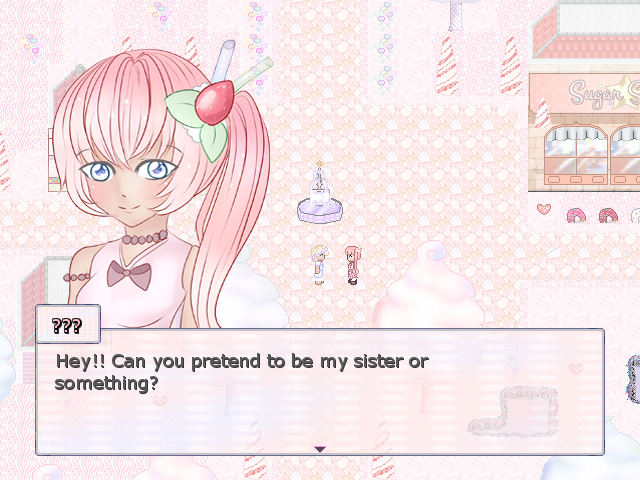 Can this be entitled as a visual novel? 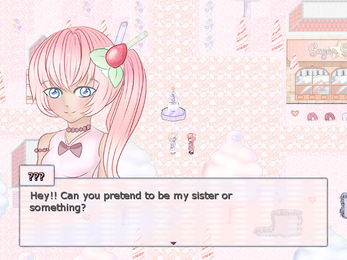 Sugar Stars isn't a visual novel. It has a similar format for the cutscenes, but it is classified as a non-combat RPG, meaning you do actually walk around and complete tasks~ I do have some visual novels released, but sadly S*s is more a walk around game than anything else. This is so cute. 10/10. I love it so much. Ran into the cooking glitch but figured it out. Can't wait to play the full game. Oh gosh you're the sweetest ;; Thank you <3 you made my week! 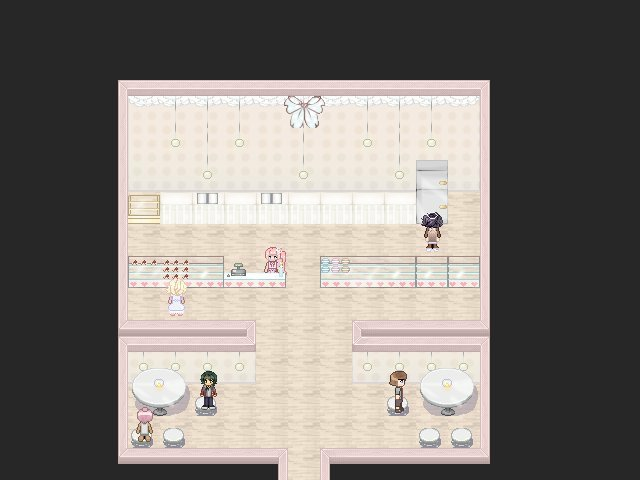 This game looks super cute and sweet and seems like something I would love, but I can't event get past tutorial, when I get a task to take 2x sugar and 1x egg and to make a cake all I can do in that room is choose bake from a memory and then cook and when I do that game crashes with message "Script 'Cooking Window #Memory' line 113: NameError occurred. undefined local variable or method 'cookstart' for #<Scene_Cooking:0x89ec7a8>" Tried a couple of different things but there doesen't seem to be a way around it, I hope you fix those errors, I would really like to play this game. Additionally, I didn't quite get it from your description, but is this a demo version or a full game alpha/beta version? OH YIIKES! Thanks for letting me know!! I'll give it a try and see what's going on?? That's so strange ahh I'll take a look at it now and see what's happening oh dear. 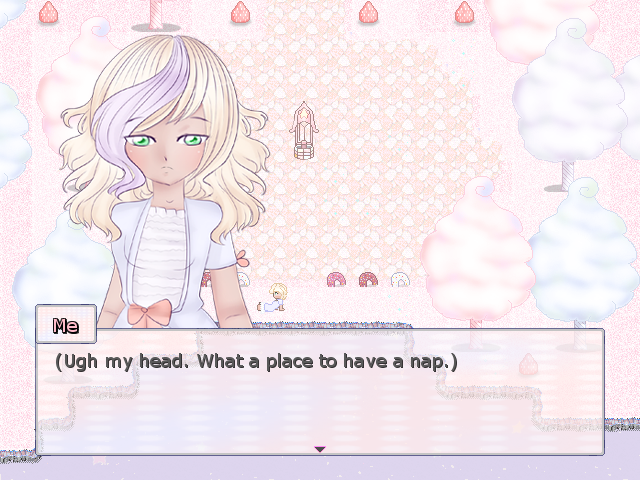 Sorry I was a bit unclear ahh I lost most of the gamejam months due to something that happened so I legitimately put together a demo in the last three days hehe Which is why it's so buggy. It's an alpha demo haha I'm so sorry you encountered that error ahhh Let me see if I can fix it ;; Thank you for letting me know! OH MY this is ADORABLE~ I haven't managed to get very far since it's bugging out a bit but I can't wait till it's all done and polished 'cause what I did see was diabetically sweet. 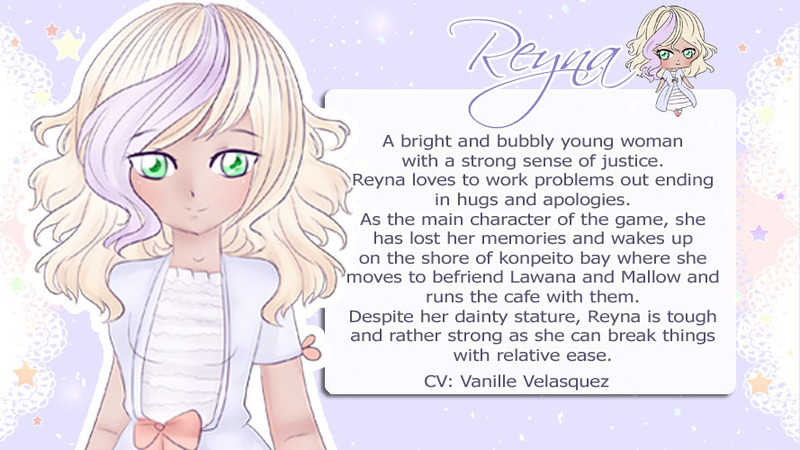 The VA's did a great job and I am so in love with Reyna [I think fluffballs have become my new go-to type...] I like Reyna's take on the whole amnesia being a time of reinvention instead of confusion 'cause it really adds to her optimistic side. Oh and I got a good chuckle out of the whole heirloom mix up. Food puns ftw. 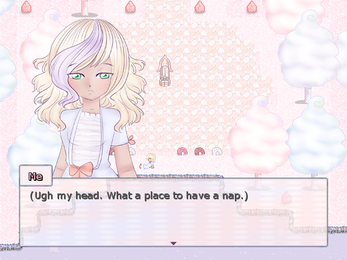 I'm sorry it's been bugging ;o; (As I said I legitimately put it together in three days and playtested it like... twice so A+ Gamedev LOL ) May I ask what's causing the trouble? I'll try to fix it up <3 I'm so sorry it's given you trouble! It was the same problem as the above comment. With the cook from recipe section. And if you need a beta tester then hmu! I just started playing and it's SOOO cute! 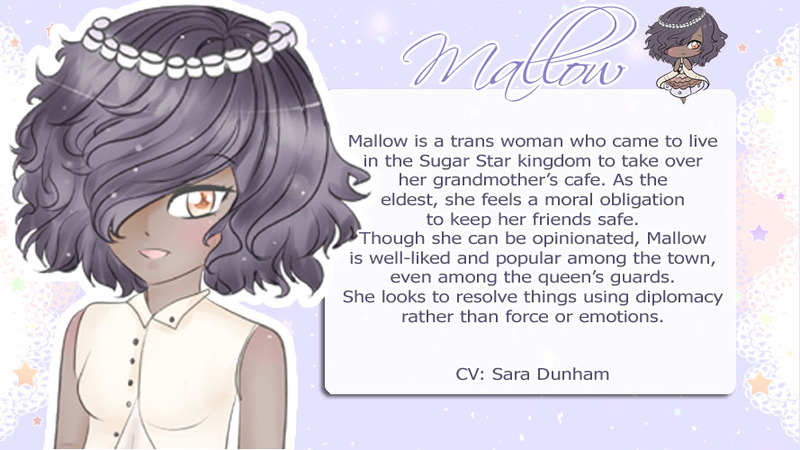 I love Mallow and Reyna's voice, super super super cute.